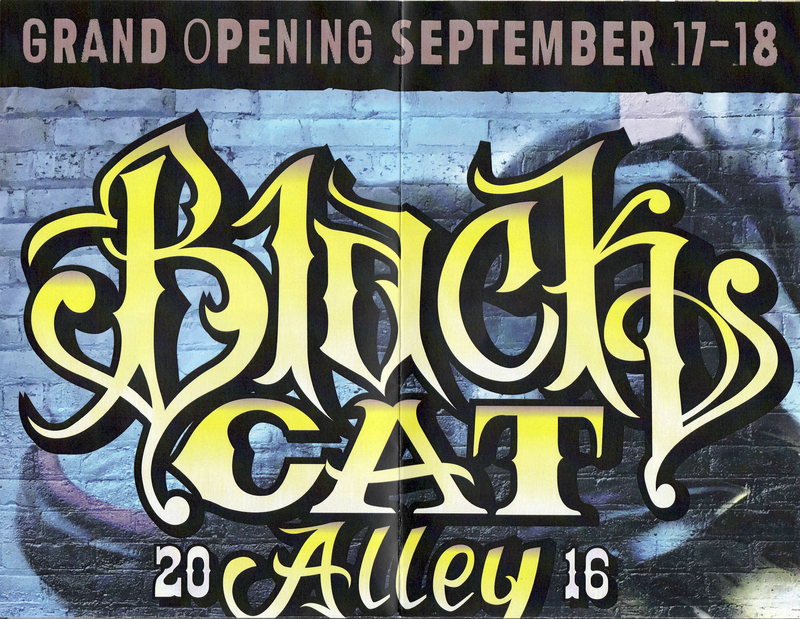 This weekend Randall and Frank attended the unveiling of the first year of the Black Cat Alley Mural Project in the Eastside of Milwaukee. 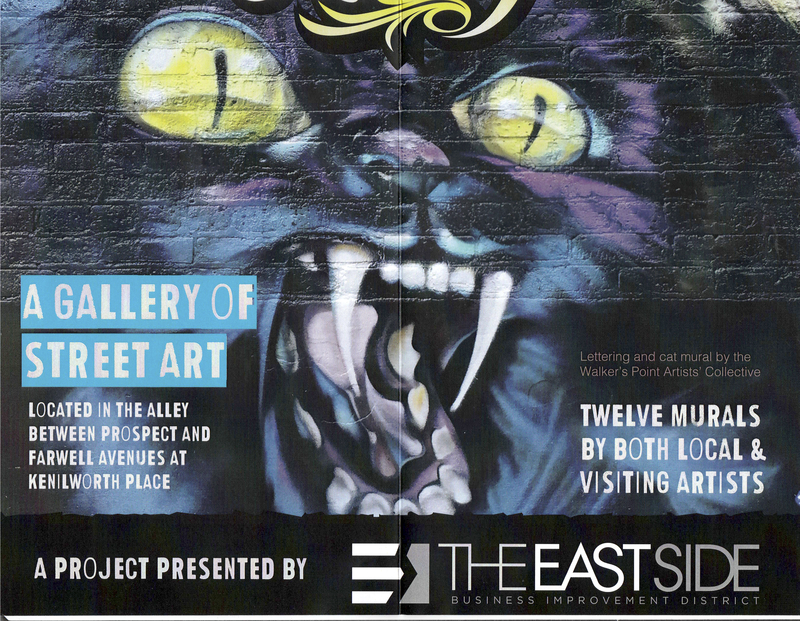 Both grew up in Milwaukee and have an appreciation for Street Art, artists, and financially supporting a project that brings local talent to create something beautiful. When this opportunity presented itself it was with no doubt that we had to be a part of it. We are looking forward to Year 2 and Year 3 of this project. 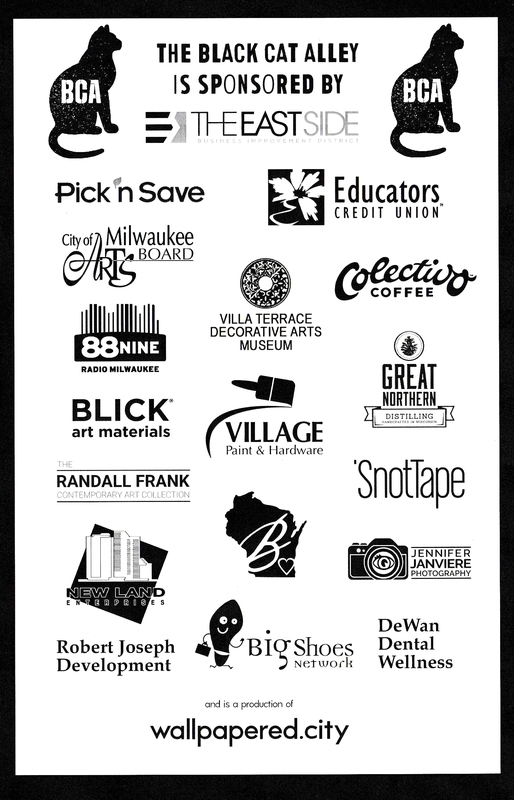 If you find yourself in Milwaukee, check it out! You will not be disappointed. 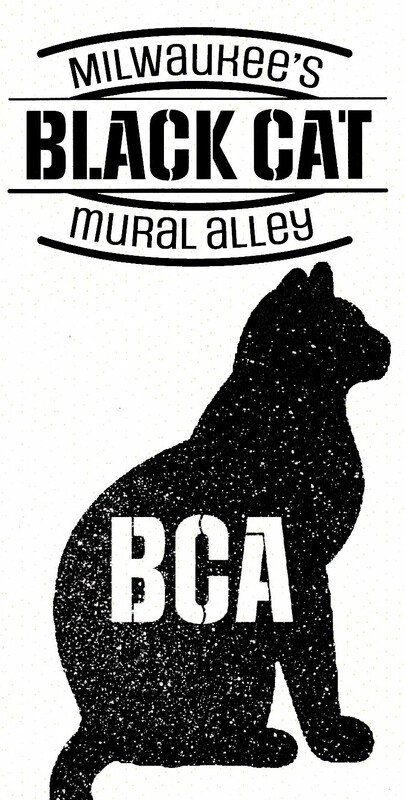 The Black Cat Alley is a new arts destination comprised of outdoor large-scale murals, all in one two-block alley which will serve as an open gallery walkway. 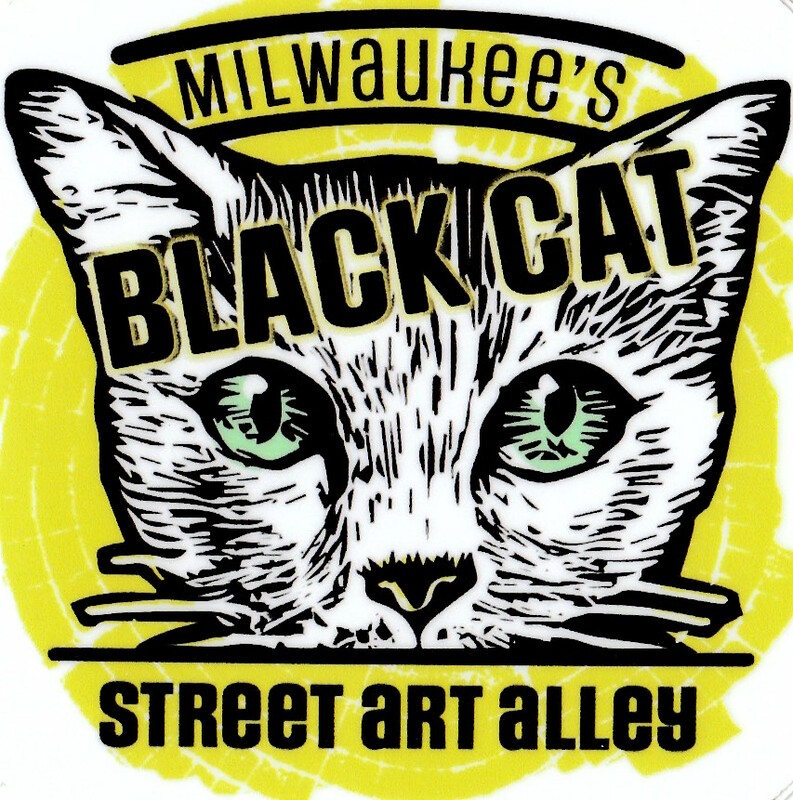 It is located between Kenilworth Blvd and Ivanhoe, in the alley between the Oriental Theatre on Farwell Avenue and Colectivo Coffee on Prospect Avenue in the historic East Side neighborhood of Milwaukee, Wisconsin. A dark and quiet space, it is in urgent need of a makeover; in our vision, it will be a beautiful, cultural destination for the public. 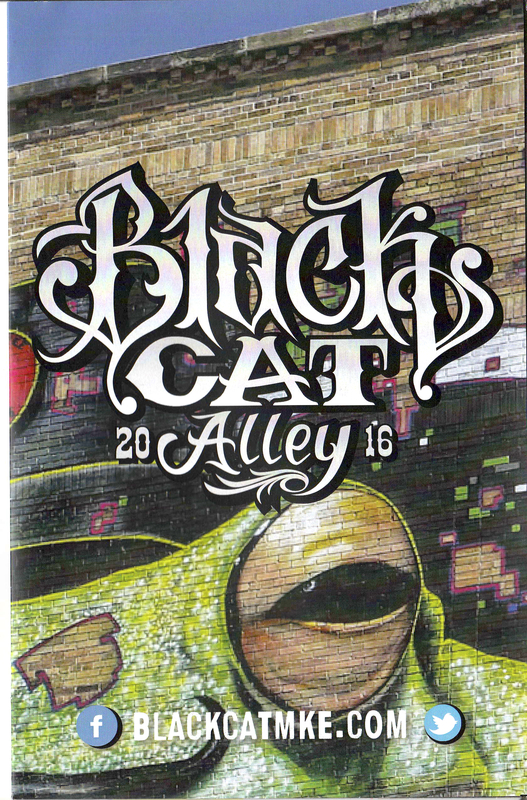 The alley will become an outdoor gallery, enhancing the local business community by drawing local visitors and tourists. 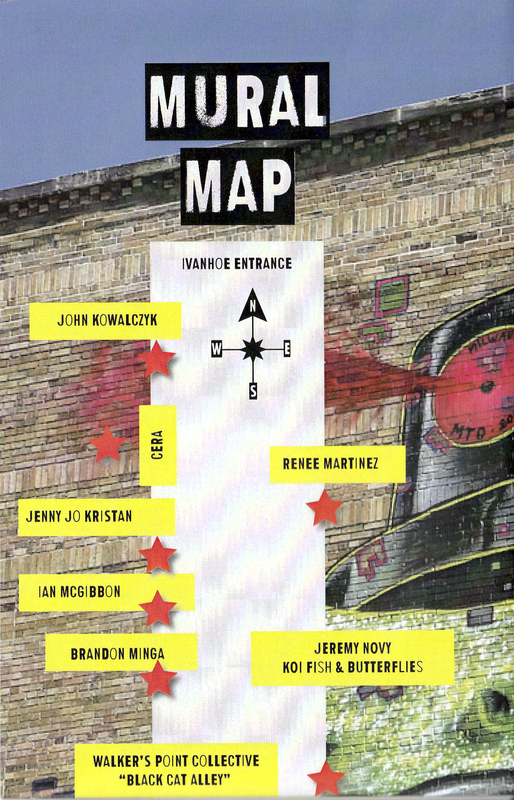 Click here to hear the artists talk about their work and their experience. 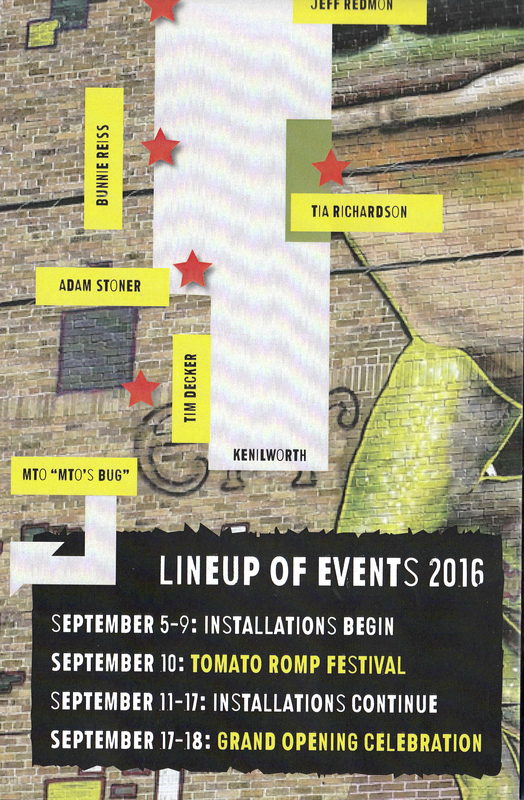 To learn about the artists click here.